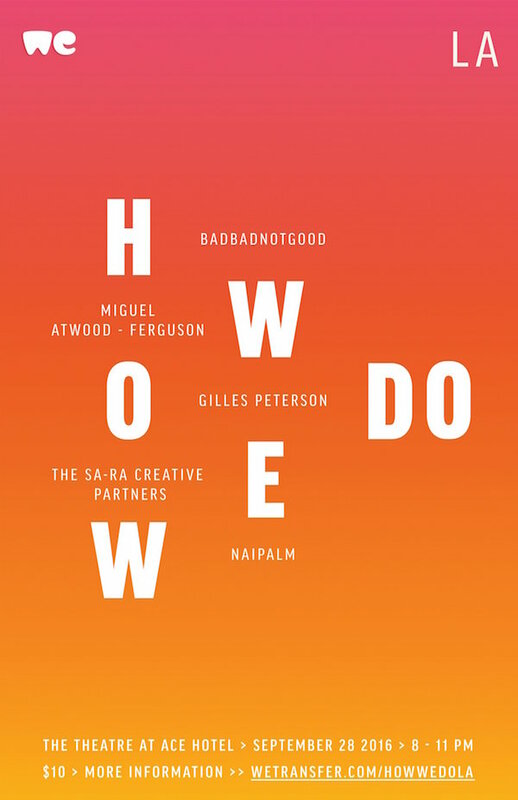 BADBADNOTGOOD are playing the Ace Hotel in LA on September 28. Presented by We Transfer. 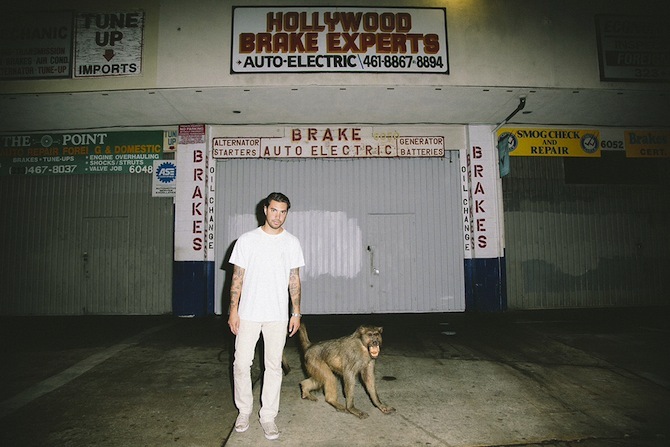 Hanni El Khatib talks to VICE about his love for Koreatown in Los Angeles. Read it here. 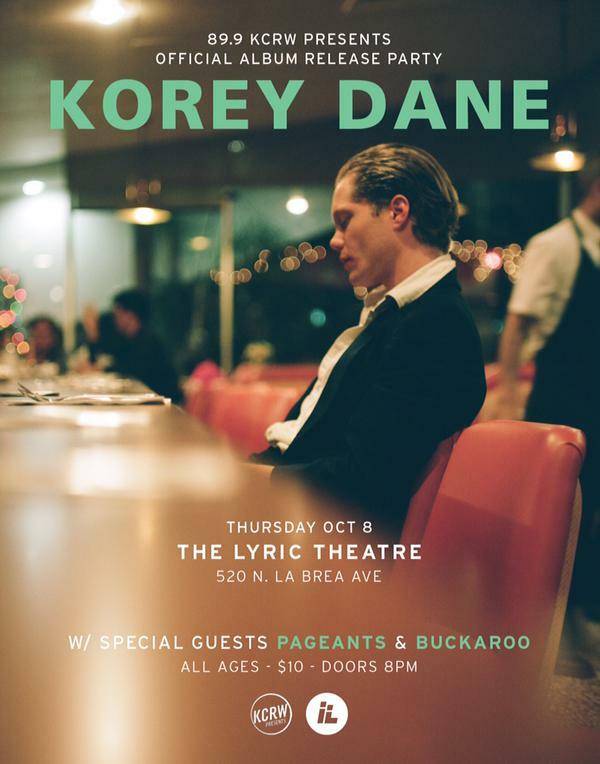 Korey Dane‘s album release party is this Thursday, October 8 at the Lyric Theatre in Los Angeles, CA. Presented by KCRW. Tickets available here. 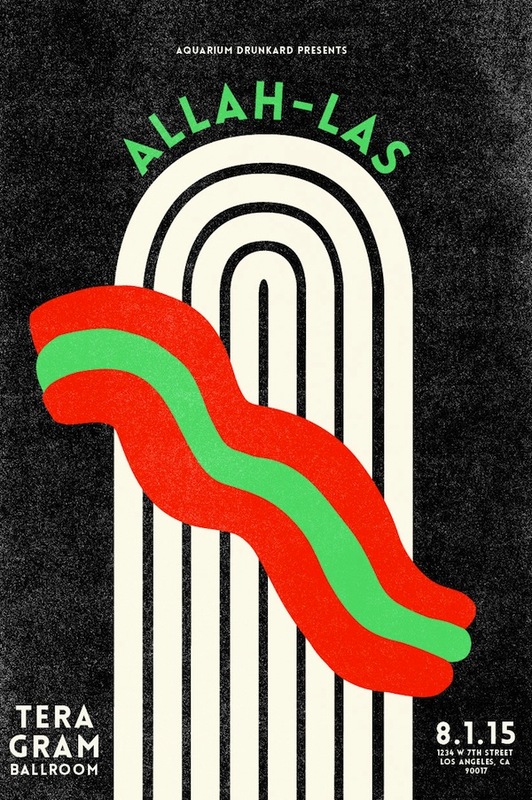 Allah-Las play live in Los Angeles at The Teragram Ballroom this Saturday August 1. 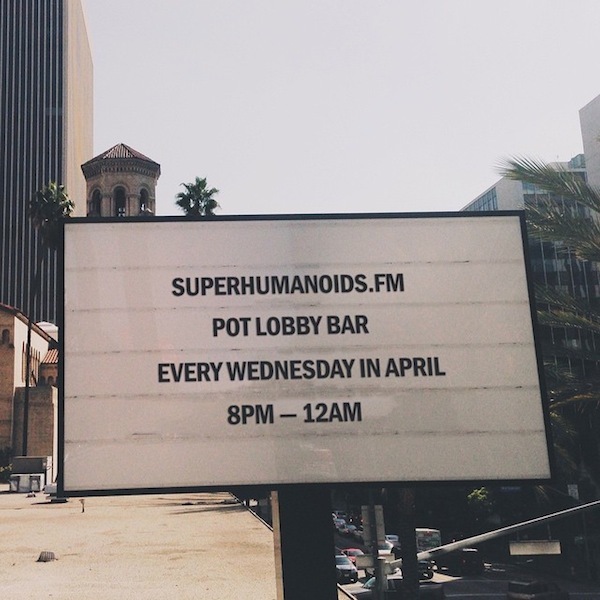 Superhumanoids are DJing at POT in Los Angeles, CA every Wednesday of this month. 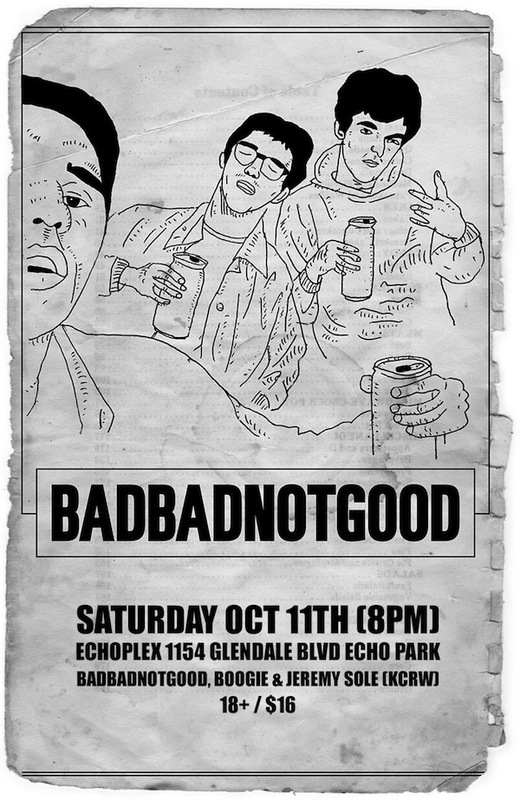 BADBADNOTGOOD are playing the Echoplex in Los Angeles, CA this Saturday, October 11. Tickets available here. BBNG debut “Triangle” live at Low End Theory in Los Angeles. BADBADNOTGOOD played live at the Low End Theory in Los Angeles on March 19. Footage by Nick Walker.